I cannot give too much information at this time because the initial stages of the invasion are still taking place and the information is not yet available to both players. It is in campaign time around 6 am on 17th September 1940. The German player has given his initial assault orders. Parachute landings began five hours ago. Initial German seaborne landings are beginning. 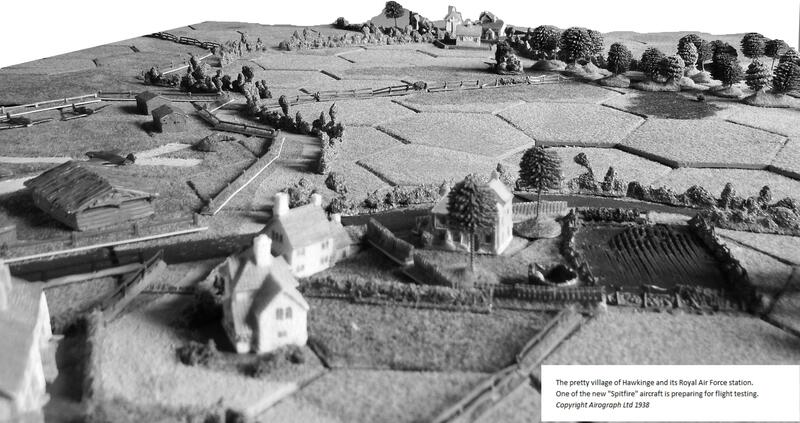 Hawkinge village and airfield 1938. There is an “oops” in this picture. If you look carefully at the left end of the wood you will see a crashed DFS230 glider! Naturally by 1940 the defences may well look somewhat different, but this is the sort of information the Germans were relying on for their planning at the time. 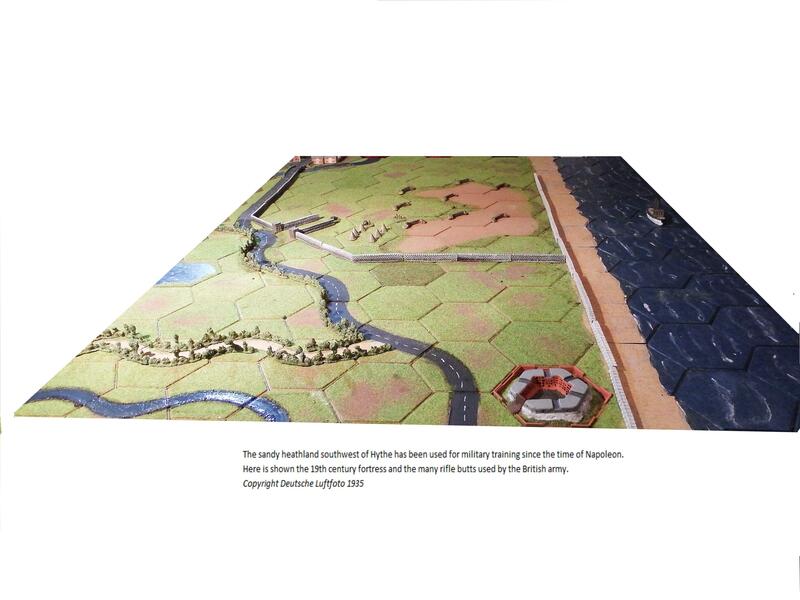 I am indebted to Google Earth and to the publications “Adolf Hitler’s Holiday Snaps” and “Adolf Hitler’s Home Counties Holiday Snaps” to help fill the detail of the original battle maps provided by S-2 Shop Productions LLC, on which the campaign is based.